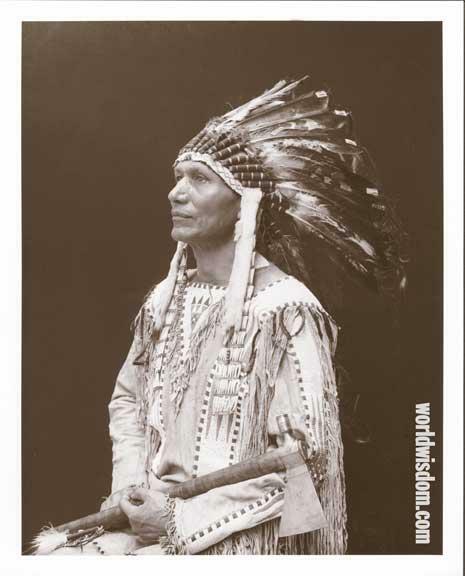 Charles Eastman (Ohiyesa of the Santee Sioux) in traditional clothing. Charles Eastman (Ohiyesa) in traditional clothing. Summary: Native leaders, including Janine Pease, James Trosper, Arvol Looking Horse, Joe Medicine Crow and Gordon Tootoosis, give advice about how to live in two conflicting worlds: the world of traditional American Indian values and our fast-paced modern world.